We are the original professional manufacturer in making kinds of rfid products with many years experience.All of our products can be customized to meet your markets needs with competitive price. 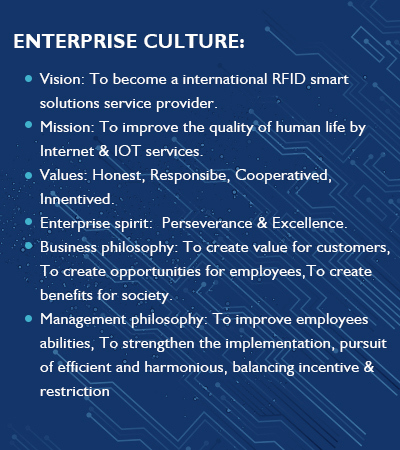 Shenzhen Zhongyuanda Smartech Co., Ltd is the one of the earliest company who is professional using RFID technology on industrial and logistics systerm management solution. We are committed to developing and using of RFID tag to the kinds of areas. Such as logistics, warehousing, animal husbandry, retail and other areas application. 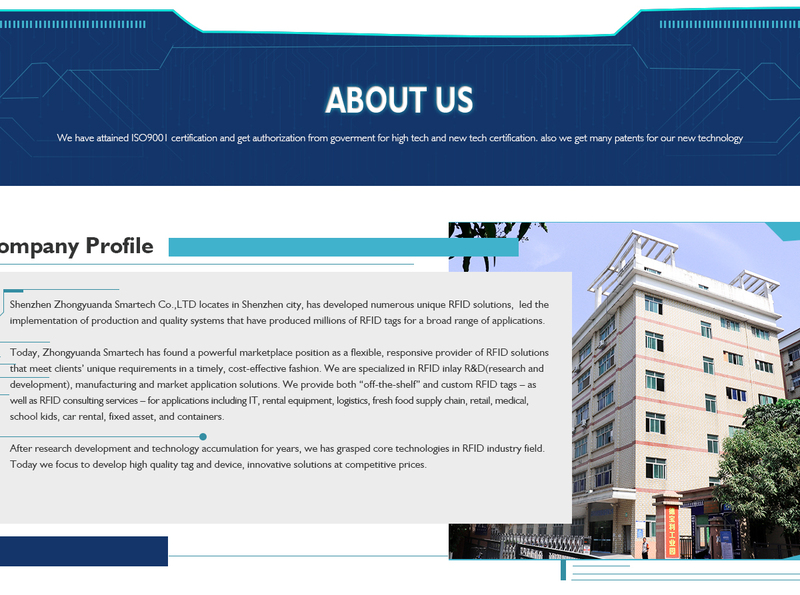 We have a professional R&D team with more than 10 years strong creativity for RFID technolog. We are going to promote RFID technology to more areas, such as clothing label with RFID inside. We have our own production lines. In the production, we have introduced advanced production equipment, have strengthened the detection in the aspect of quality, accomplish guard a pass layer upon layer, guarantee export product 100% qualified. 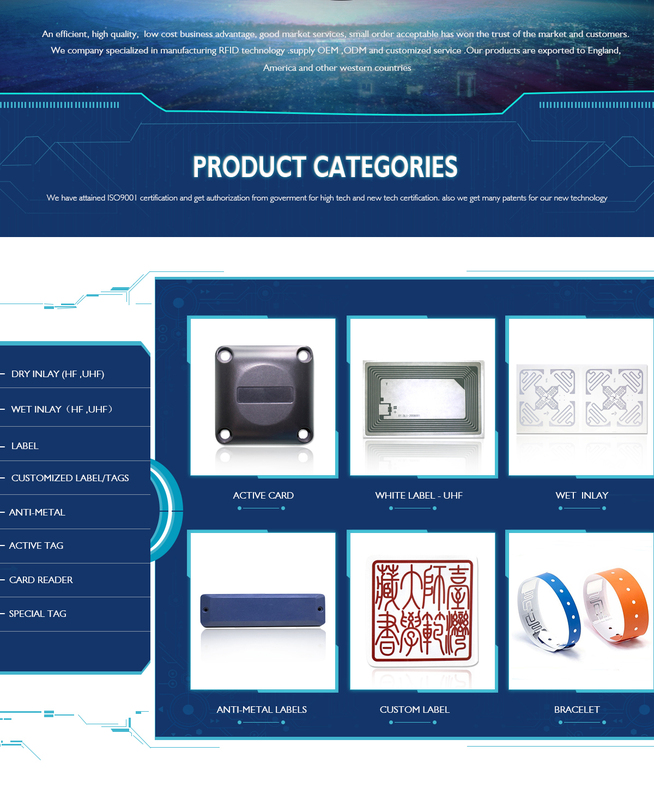 Our main products are passive RFID tags/labels/stickers/inlays.NFC sticker,RFID wristband, RFID card, NFC led nail sticker, metro tickets, pigeon ring, ear tag, laundry tag, anti-metal shelf rfid tag and other RFID products. Our RFID adhensive label is more wildy to use on many areas for anti-counterfeiting and security. like as medicine , wine, air tickets, car windscreen, luxury clothing&bags, Jewelry and other products packaging. We have developed all kinds of products, also designing and making moulds according to different specs and requests of customers. Our products frequency include LF/HF/UHF.We can follow your demand to make different sizes and frequency. Anytime welcome to your inquiry, we will reply to you as soon as possible.